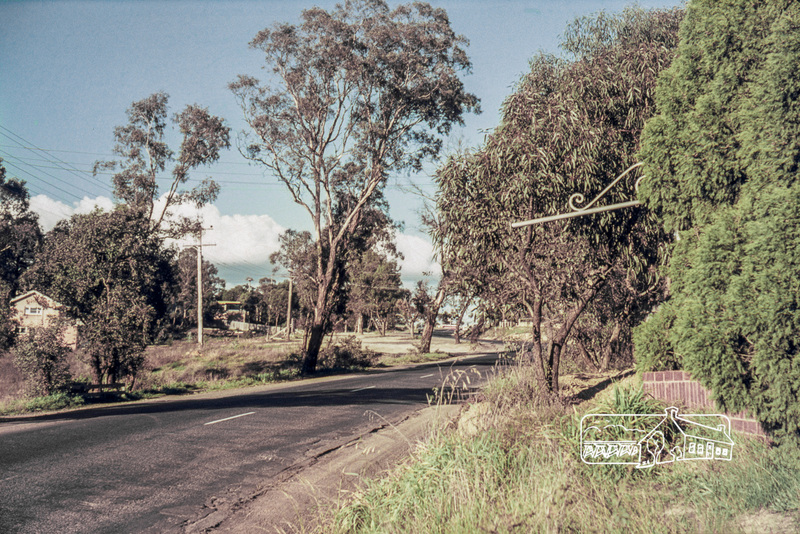 Montmorency | Eltham District Historical Society Inc.
#ThrowbackThursday – Today we time travel back to July 1969 to the intersection of Main Road and Grand Boulevard, Montmorency; specifically the section of land bordered by Grand Boulevard, Main Road and Looker Road. Recently it was announced that this piece of of land was the site for the all new Apex-Diamond Valley Ambulance Station. Fast forward to 2017 and it has recently been announced that an all new Ambulance Station is to be constructed in place of the old station and that demolition of the old building will commence in November. Demolition of the original station built back in 1969-1970 commences in November 2017 with the new upgraded station due to open in the second half of 2018. For more than 30 years following its establishment in 1967 our Society had no permanent “home”. Society meetings were held in various places, firstly in the Eltham Shire Hall, then the War Memorial Hall in the War Memorial complex of buildings and finally in the Eltham Senior Citizens; where we still meet today. There were other one-off meeting venues such as the Great Hall at Montsalvat, Metzner Hall at Judge Book Village and once in the Eltham Shire Offices. Committee meetings were originally held in these halls but later in the homes of committee members. A favourite place for a number or years was the home of Blanche and Jack Shallard in Montmorency. Supper here consisted of Blanche’s excellent cheese scones. 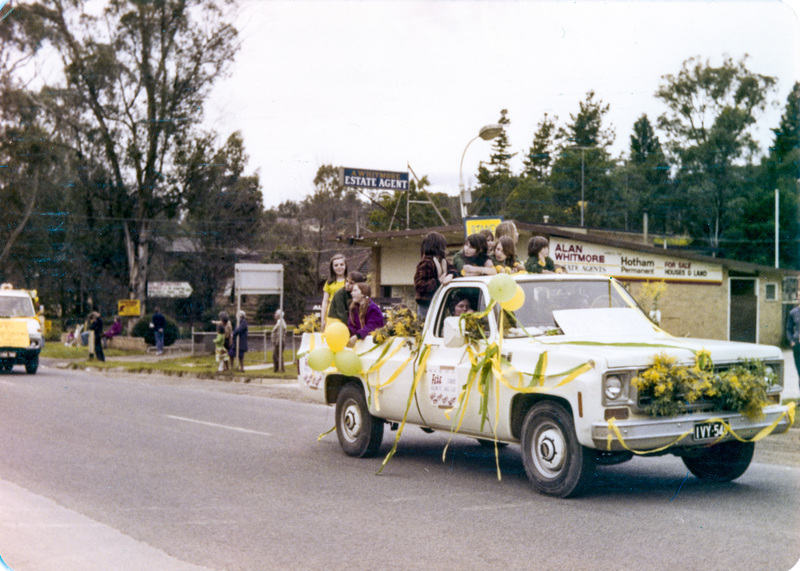 The Society was significantly involved with the Eltham Shire Council. The President was Cr. Charis Pelling, Shire Secretary Max Watson was Vice President and Secretary Russell Yeoman also worked for the Council. From 1967 the Society began accumulating historical records but was somewhat inhibited by lack of a place to store them. 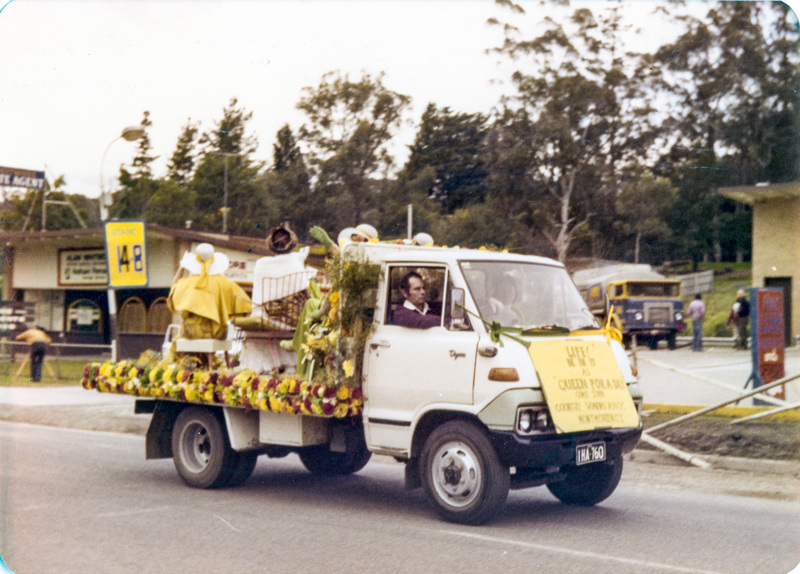 Many records were stored in the Shire Offices and there was little distinction as to what was owned by the Society and what was owned by the Council. 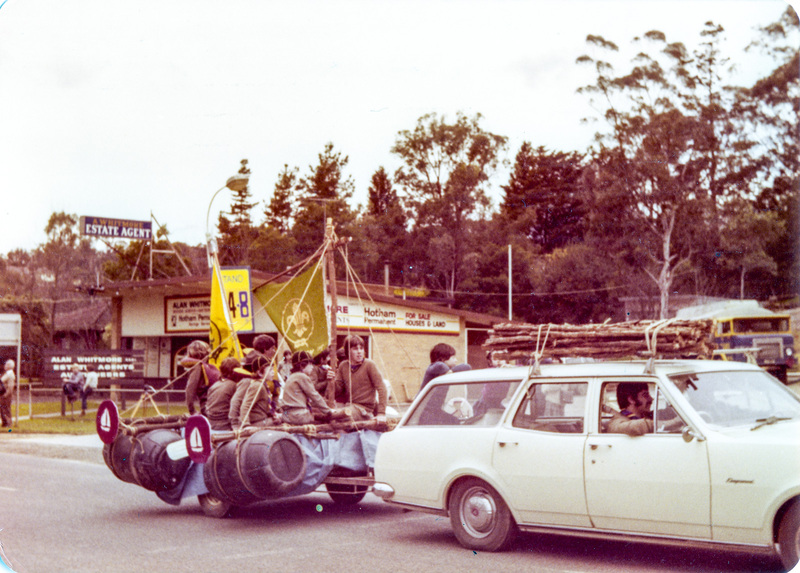 The collection of historical records and photographs was significantly augmented in 1971 by the Council collecting material for the publication of “Pioneers and Painters”. As the volume of Society acquisitions grew further storage locations were required. As well as records some artefacts were added to the collection including items collected by the Shillinglaw Cottage Preservation Committee. Although the cottage had been preserved the plan to use it as a museum did not eventuate. Some items that were to be donated remained with the donors pending a suitable place to keep them. An example was a large collection of farming and other artefacts donated by Bruce and Joy Ness of Kangaroo Ground that was kept in their barn. Storage of the Society’s paper based records fell in large part to Russell Yeoman as Secretary and these were kept at his house, generally in less than optimum conditions. There was a filing cabinet in the laundry and various boxes in other parts of the house and in the shed. Large plans were kept in a cardboard folder under a bed. Workshops to get these records into some sort of order were held at the Yeoman house. Fast forward to 1998. Nillumbik Shire Council has succeeded the Eltham Council. Much of the Society’s collection of artefacts has been passed on to the fledgling Andrew Ross Museum. Society President Harry Gilham has successfully negotiated with the Commissioners in charge of the Council to secure the long term use of the former Eltham Police Residence by the Society. 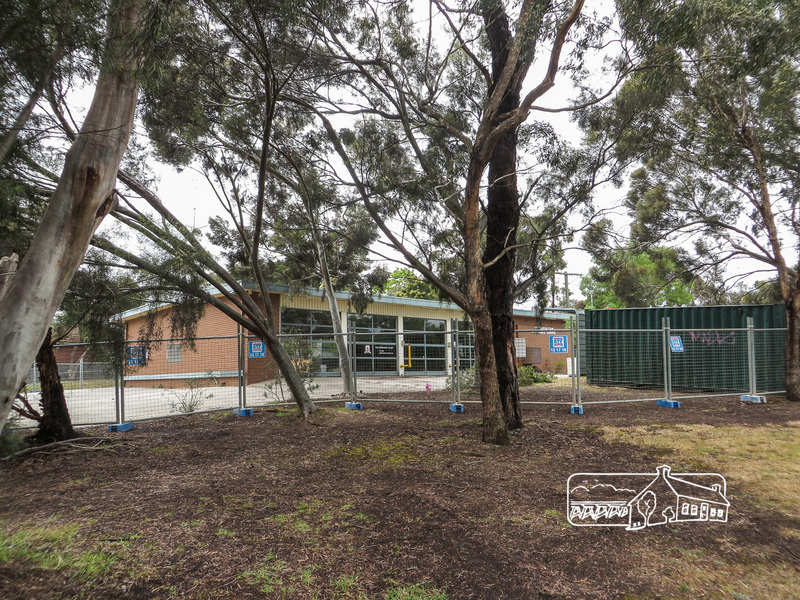 This State Government owned building had been used by Eltham Council as its Parks and Environment office. The long task of moving the Society’s collection from its various storage locations began. This historic building has become our Local History Centre and it has enabled the acquisition of far more historical material than had previously been possible and has helped secure the future of the Eltham District Historical Society. Moving items into the new Local History Centre, July 1998 L-R: Mark Gilham, Margaret Ball, Sue Law, Harry Gilham. As we celebrate the 20th year in our Local History Centre we acknowledge and are forever indebted to Harry Gilham and the other members who worked so hard to establish and maintain our “home”. 1860 Eltham Courthouse built in Main Road, together with an adjoining police residence, office, lock–up and stables. 1961 Police in Eltham move into Pryor Street refurbished buildings and office. 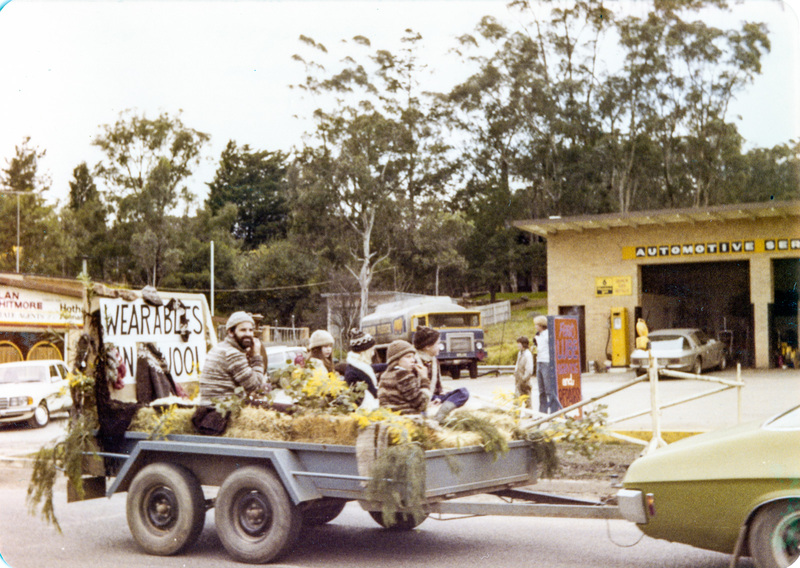 c.1961-1981 Occupied by Vermin and Noxious Weeds Destruction Section of the Department of Crown Lands and Survey. 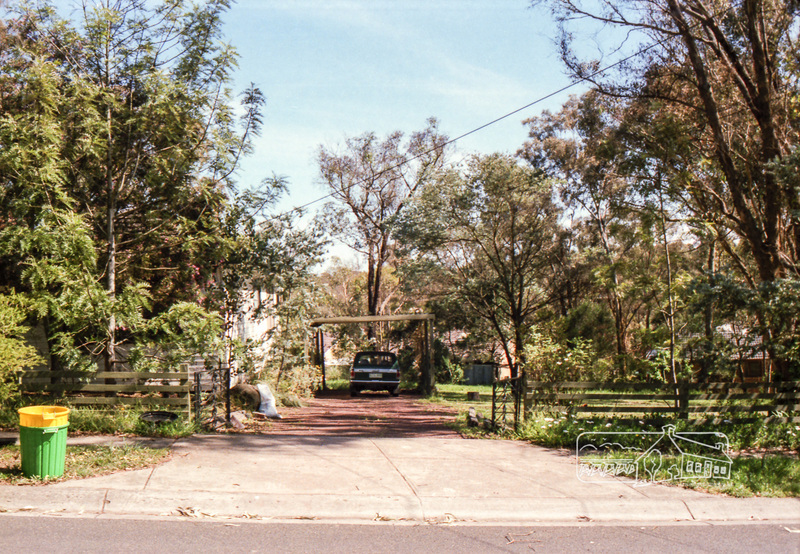 Former Police Station dragged around to rear of Police Residence (prior to August 1967) to make way for the construction of a driveway and access from Main Road. The building was placed on the site of a former Scullery and modified for Lands Department use. 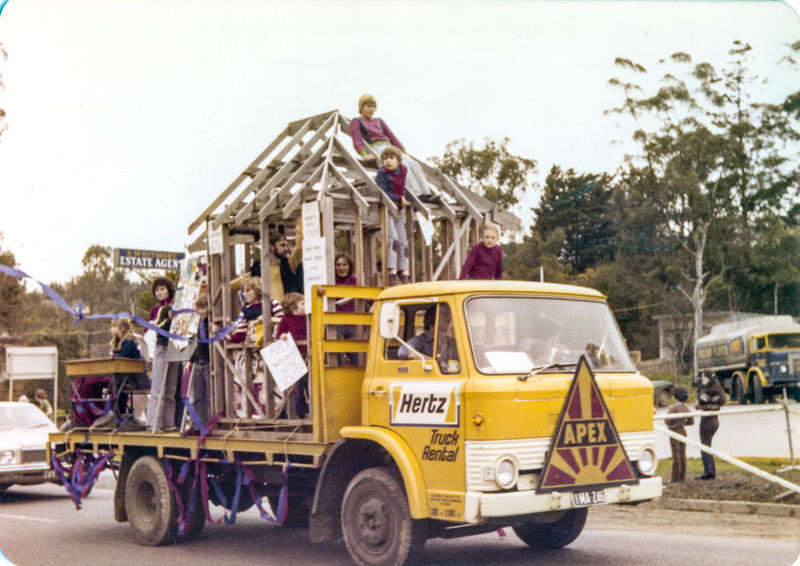 1981 Shire of Eltham take over management of old Police Residence in Eltham. It remains unoccupied for a period of time whilst its future is discussed in Council. 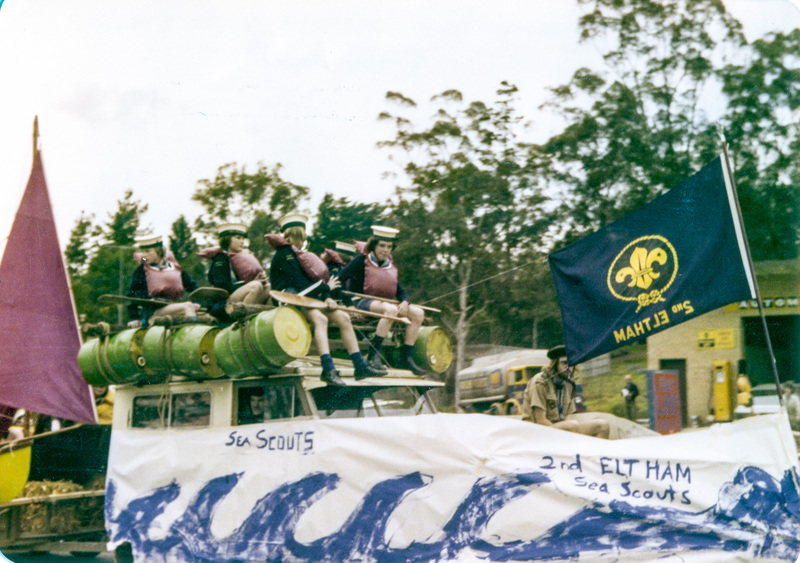 1985 Shire of Eltham Parks and Environment occupy the residence. Council improve the driveway but later add a second rear access from Brougham Street due to the dangerous nature of the Main Road entrance. Also add a rear toilet facility between the Police Residence and former Police Station, which was doubling up as a lunch room. Council also commence discussions to re-establish a replica Police Station. The original Eltham Police Station was demolished c.Nov. 1986.
c.1986 November. Former Police Station demolished; believed to have been suffering termite damage. c.1989 After some years of discussion a replica Police Station is built, based on photographs, to act as a lunch room and meeting room for Parks and Environment staff and volunteers doing community service. 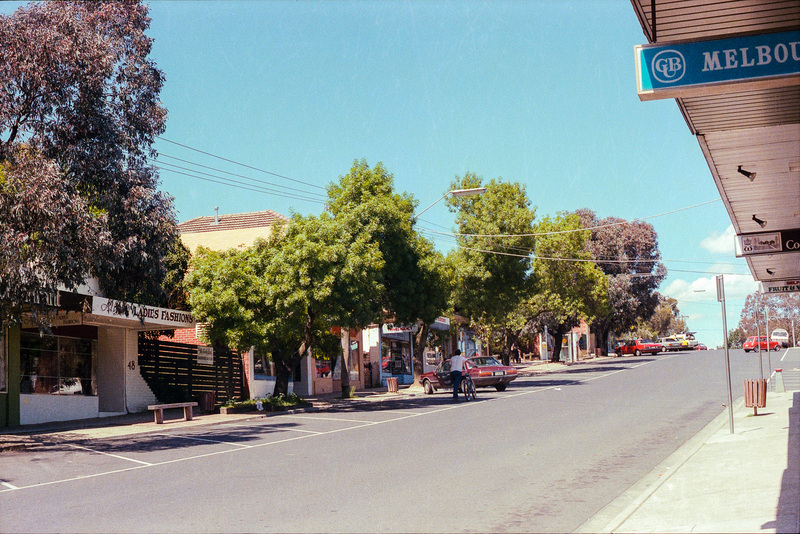 1996 Eltham District Historical Society in discussions with Nillumbik Shire Council commisioners throughout the year regarding a home for the Society. A proposal put forward by the Society in October to occupy the former Police Residence. 1997 March. Eltham District Historical Society gains access to former Police Residence. 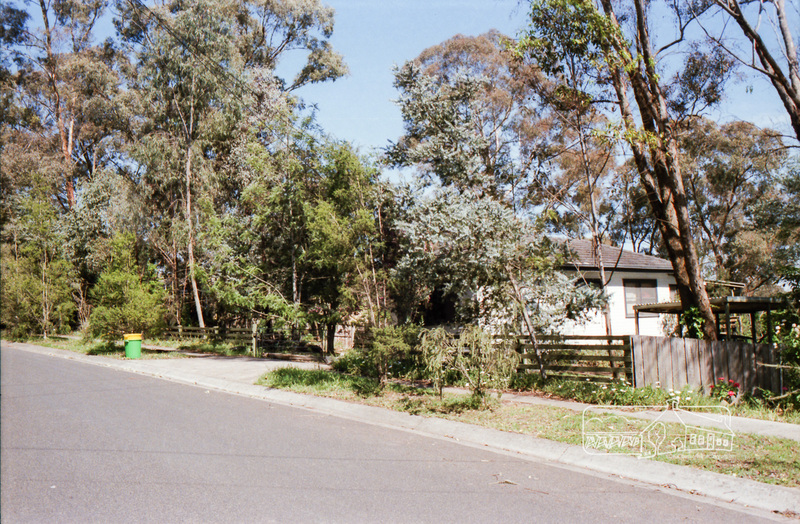 Former Police Residence, 728 Main Road, Eltham, c. April 1998. 1998 July 12th. Eltham District Historical Society Inc moves into its Local History Centre, 728 Main Road Eltham (the former Police Residnce built in 1860). Eltham Local History Centre; the former Eltham Courthouse, Police Residence and replica Police Station, December 2000. 2018 July. Eltham District Historical Society gains access to the replica Police Station for use as part of regular heritage tours for schools and community based groups. 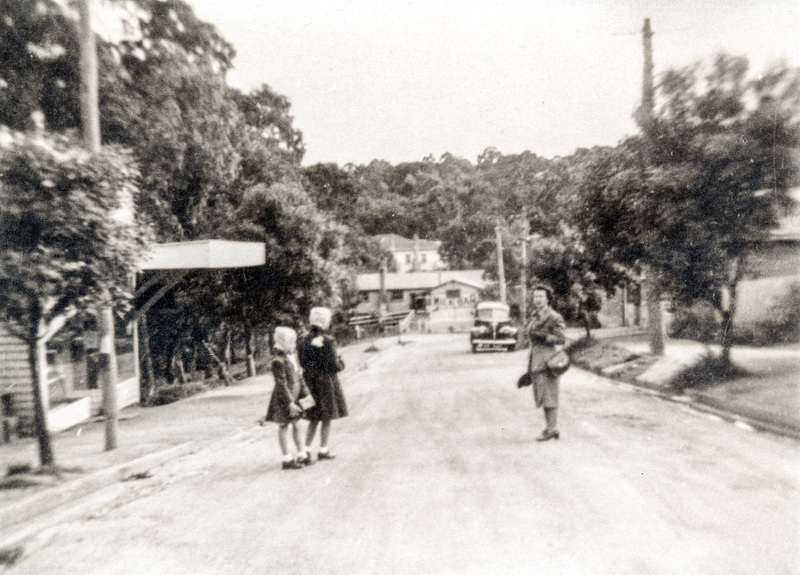 SOLVED – Looking east along Airlie Road, Montmorency near No. 51. 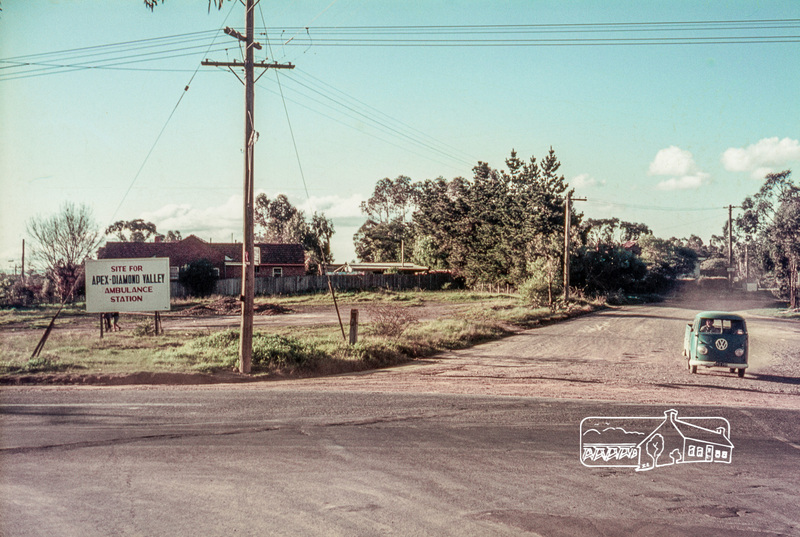 New speed hump installation, Shire of Eltham, c.1989 (from the collection of Eltham District Historical Society). 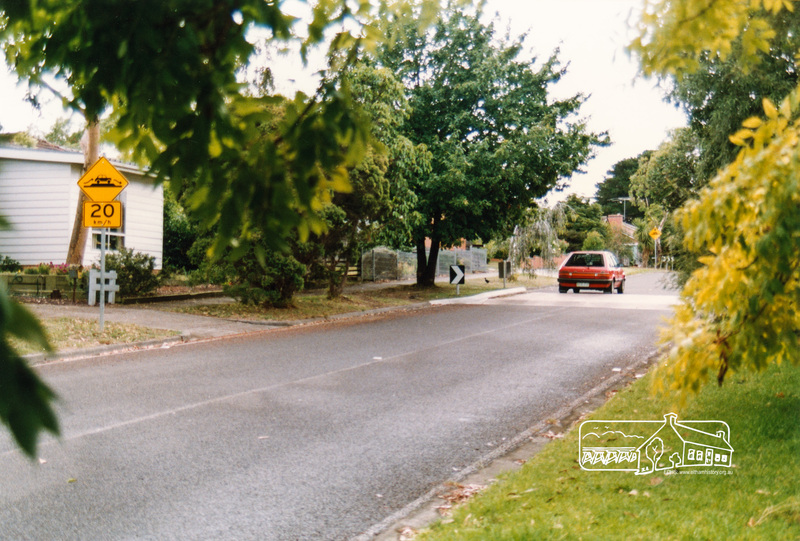 #MysteryMonday – Today’s image is again of a residential area; you are all so good in solving these more innocuous ones. It is a great help to us as we just keep putting off cataloguing them until we can positively identify the location. And again, it’s one of those that you either know it or not but everyone will know somewhere that looks like it, which is what can make it difficult. There are no signage clues other than the brand new speed hump signs in the immediate foreground and in the distance at the hard right hand bend. 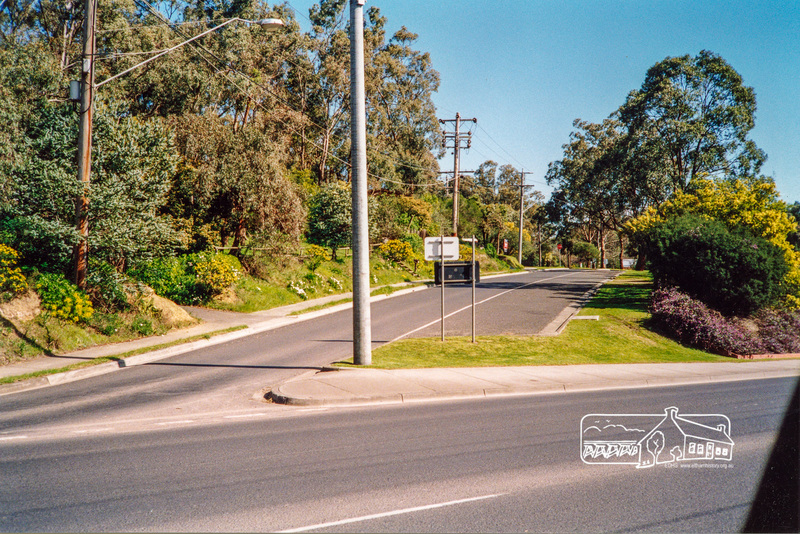 The Shire of Eltham took a number of photographs of new speed hump installations and new kerb and channeling throughout the Shire, circa 1989. Which probably explains why we have so many. Not so interesting at the time but as the development march continues, they become more valuable as a keepsake of what we once had. 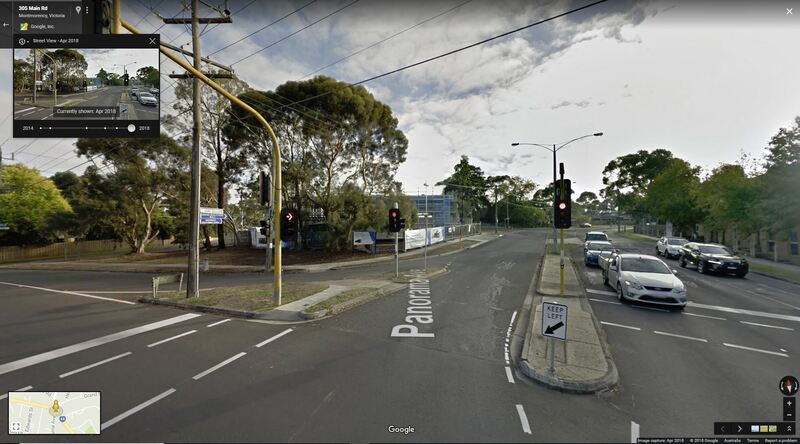 (Eltham Shire Council depot back then and prior to that the former Fayrefield Hat Factory) heading towards Greensborough, prior to the roundabout. 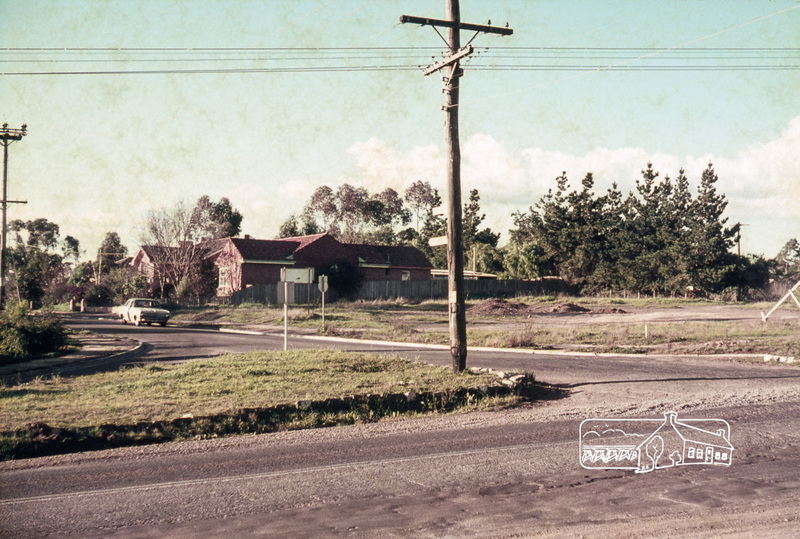 #MysteryMonday – Today’s image is again of a residential area, possibly off a Main Road. It’s one of those that you either know it or not. 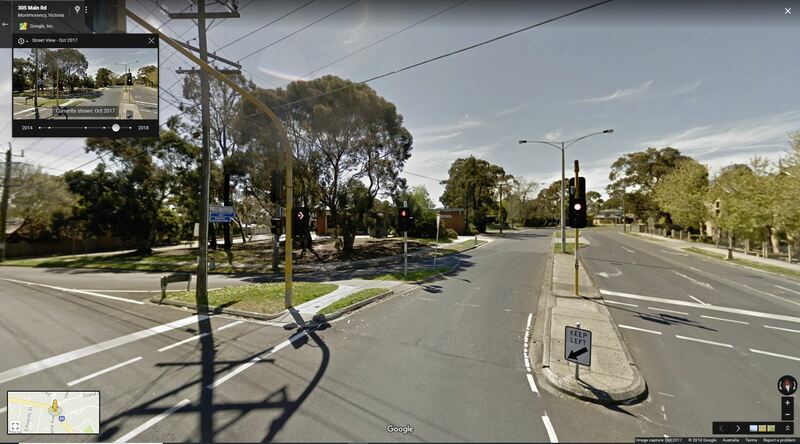 There are no signage clues other than the landscaped streetscape and acute intersection. The street running off appears to be one way (at least with access from the Main Road) and that access street leads to another intersection with a Stop sign. Assuming the photo is taken from mid morning to mid afternoon, the Main Road could be running in a northeast through to northwest direction in the visible direction of travel with the access road veering off in a north to west direction. 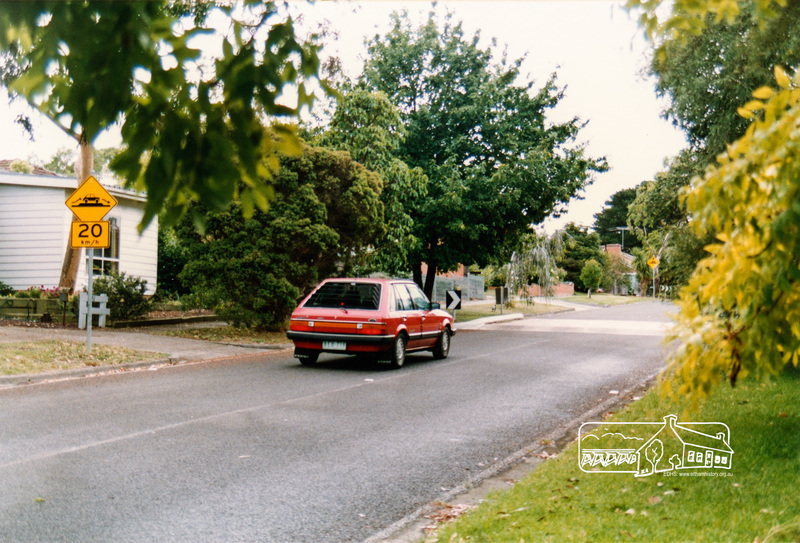 #MysteryMonday – Today’s images are again of a residential area, possibly Eltham or Montmorency. 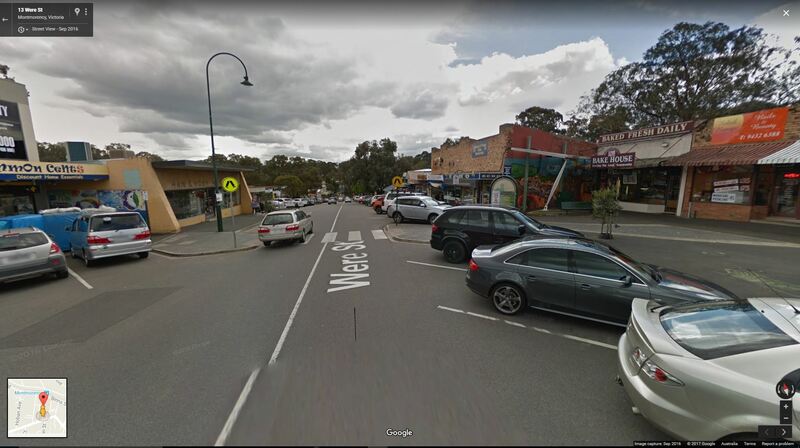 There appears to be two locations or streets involved though the images are sequential on a roll of film bracketed between the Eltham Stock Feed store (at the corner of York Street and Main Road) and Montmorency Railway Station. 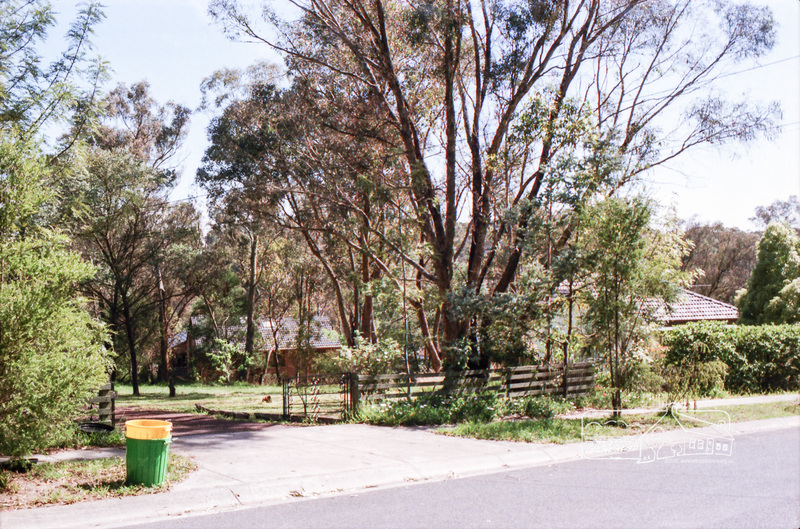 The first image (a panormaic stitch of two frames) shows a house, number 76, with a typical stone edged boundary so favoured by the Shire of Eltham during road and footpath construction. The remaining three images are a sequence of another property most likely another street nearby. Given the shadows, the street may have a north-south orientation. Do these street views strike a chord with you, perhaps you even know someone who may live there. Perhaps the house is yours. It is very possible the house may have now been significantly modified or even knocked down. Can you identify it? We’d love to hear from you; your thoughts and suggestions as to where it is, any stories you can tell about the area, and better still, any similar photos you can share? 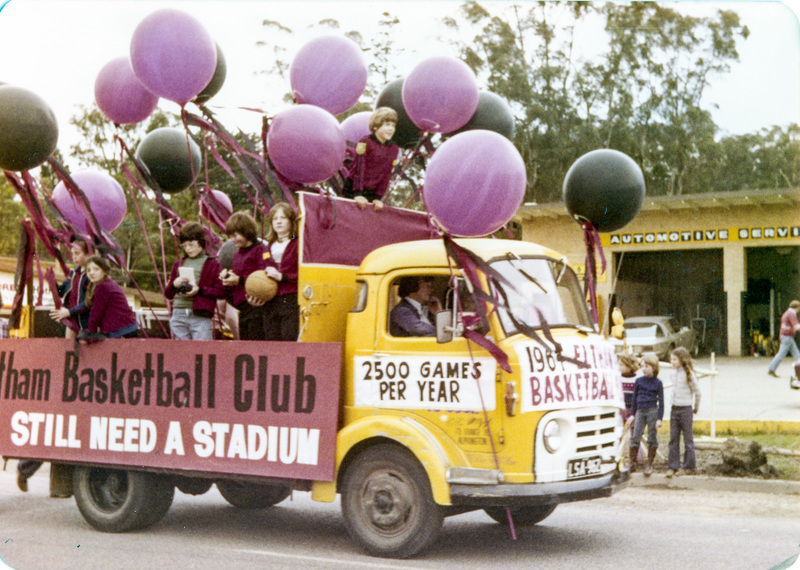 #ThrowbackThursday – Who can’t resist a good parade? We can’t. 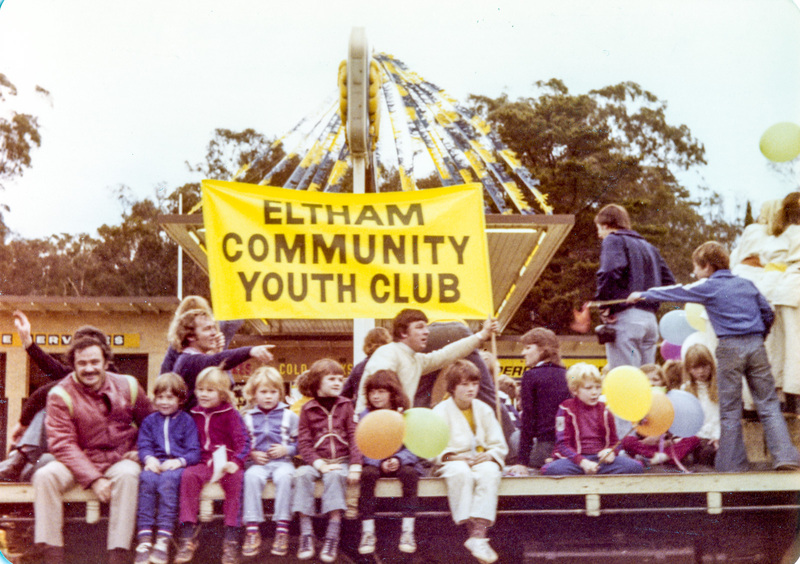 A few weeks ago we featured the Eltham Community Festival Parade of November, 1982. 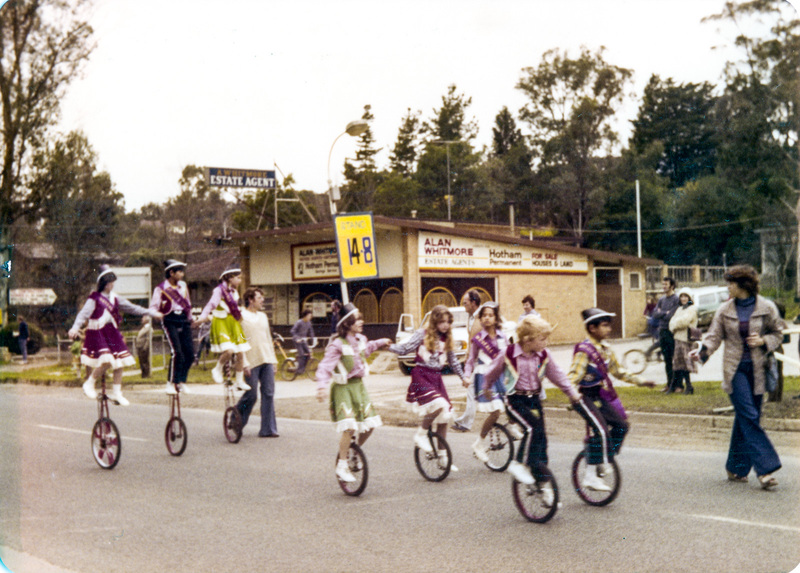 Today we time travel back to August 4, 1978 just in time to catch the parade as it passes the service station on the corner of Main Road and Mount Pleasant Road opposite Wingrove Park. 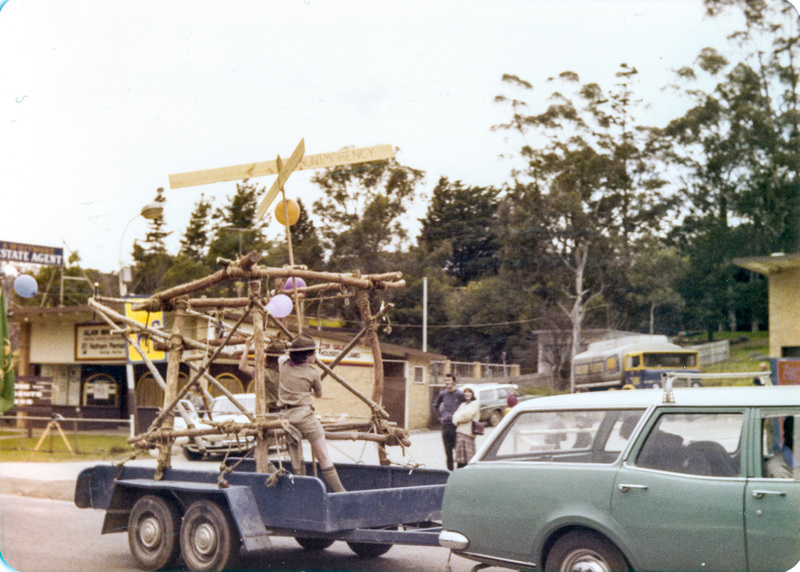 This series of images of is from a recent mystery donation received in August. They were contained in an envelope dropped into our letterbox at 728 Main Road; no explanation or information about the donor. So whoever you are; we thank you and appreciate this valuable addition to our collection. The photos are an example of the damage that the old-style ‘magnetic’ albums can do to your prints and it is always best to use proper archival storage materials. 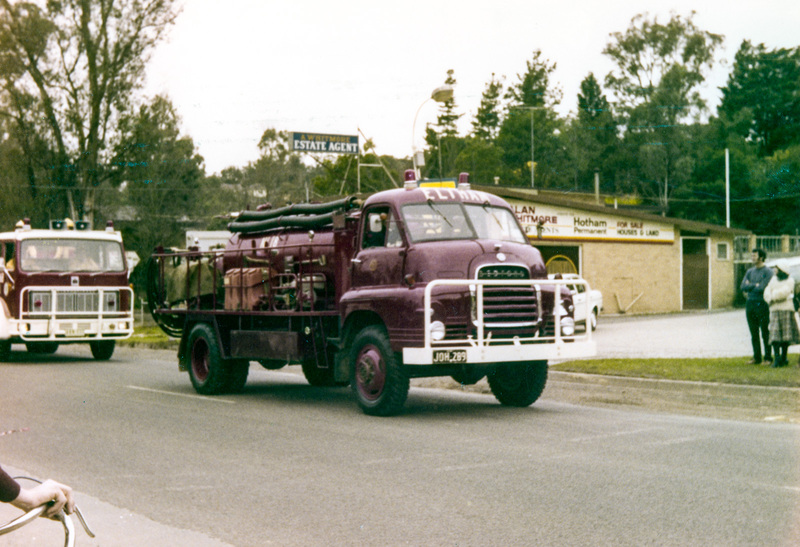 The images have a significant orange-red colour cast and we have attempted to restore them but the red wavelength has clearly degraded much quicker than the other primary colours, which is why we have purple fire trucks! All these images are now included in our rapidly growing catalogue on Victorian Collections (@victoriancollections) to help preserve and share these precious moments in time. The Shire of Eltham Historical Society (as we were known then) was involved with the Warrandyte Historical Society (@warrandytehistoricalsociety) in arranging an exhibition at the Community Centre and also provided notes and a map for a self-guided walking tour of historic buildings and locations around Eltham. The exhibition was divided into two sections. 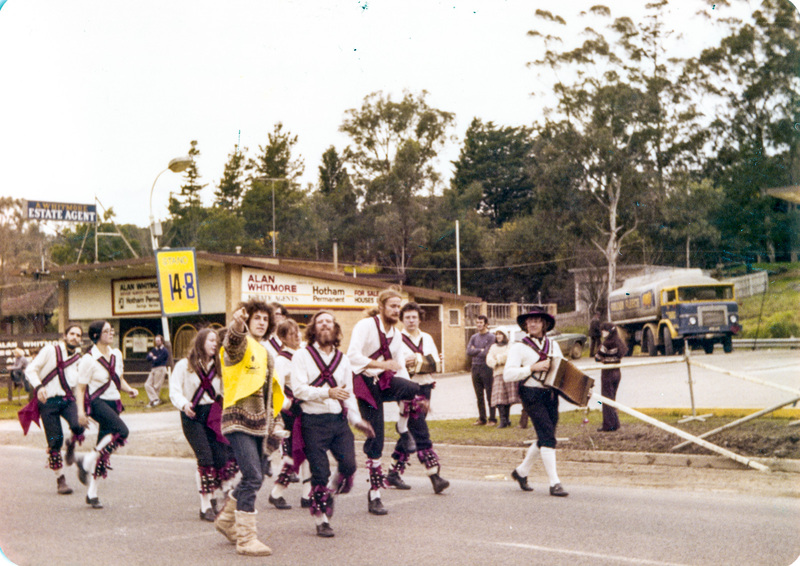 The Eltham Society displayed early photographs associated with the walking tour, whilst the Warrandyte Society showed their photographs and artifacts of the Warrandyte gold era. 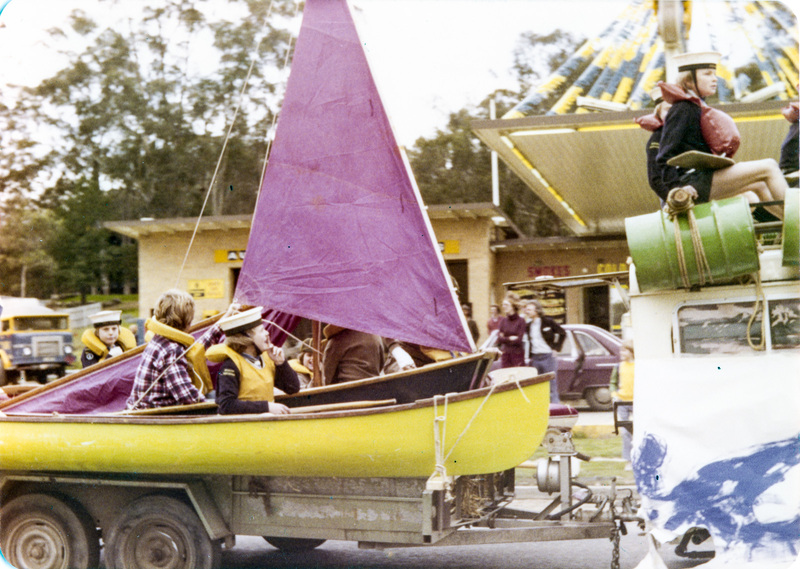 An outstanding feature was the large “blow-up” photos of early Warrandyte. 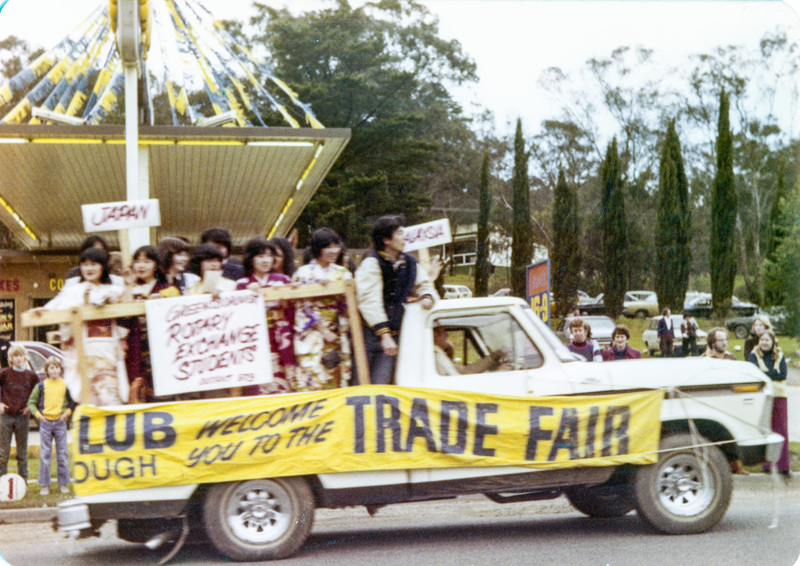 Does anyone remember this festival and parade? 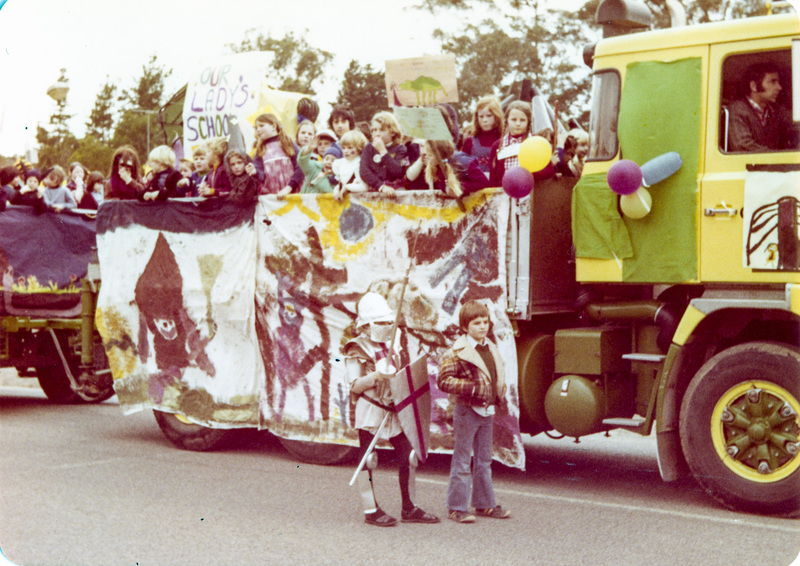 Did you or your community group participate in the parade? And who is our mystery donor? There was very little information provided other than a motion blurred image of several ladies from the Country Women’s Association Montmorency along with their names; Edi Levi, Joyce Finster, Thelma Smith, Jean Spencer and Norma Williams. #ThrowbackThursday – At last night’s Society talk, “The Shallards of Montmorency,” we heard from Margaret Deighton, daughter of Blanche and Jack Shallard, about growing up in Montmorency in the 1940s and 1950s. So in keeping with that theme; today we time travel back to Were Street in the 1940s where we shall meet a dog named Jack. Jack, an Alsatian was owned by Mr. and Mrs Musselwhite who ran the local post office from around the mid 1930s to circa 1950. The Musselwhites had trained Jack to go down to the railway station each day about 3pm and collect the daily parcel of evening newspapers delivered by train. 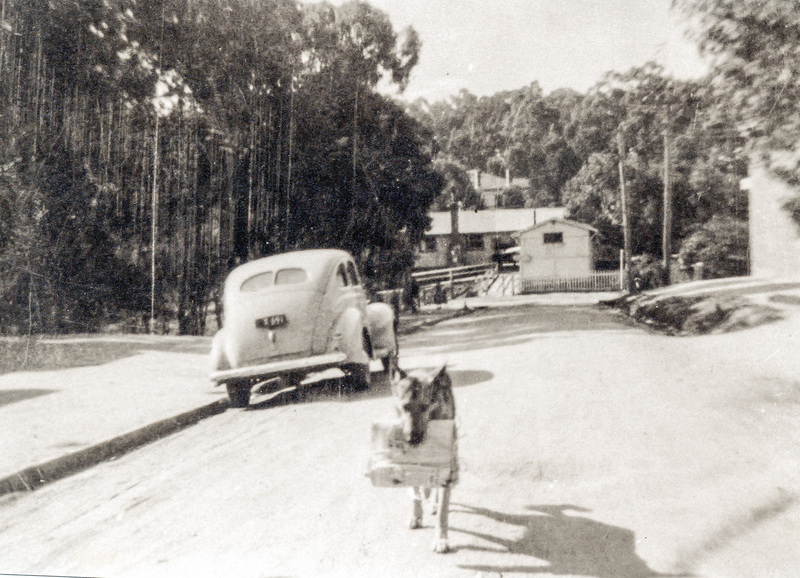 Jack would then carry the bundle of newspapers up Were Street to the newsagency where they would then be placed on sale for the locals. 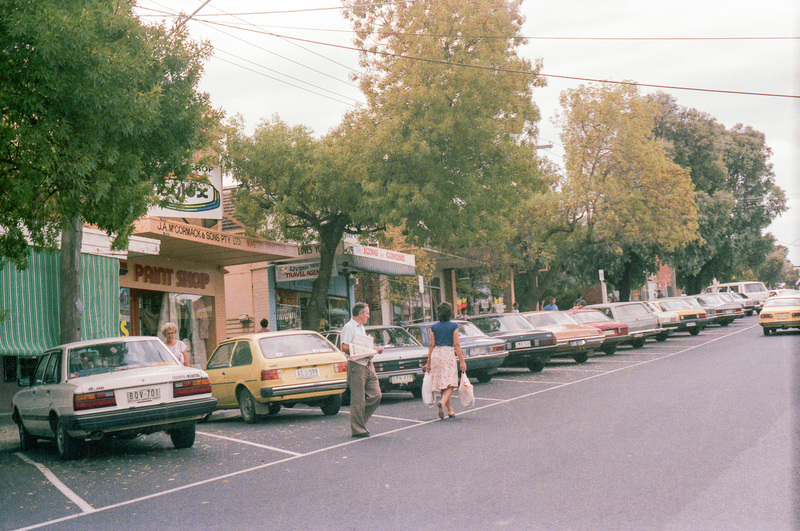 In those days (as we also heard from Margaret), Were Street was a one shop stop; very different from today’s thriving little shopping precinct. Did you grow up in the same time period as Margaret? Do you recall Jack? Being an Alsatian, he would have been a very distinctive dog in those days. 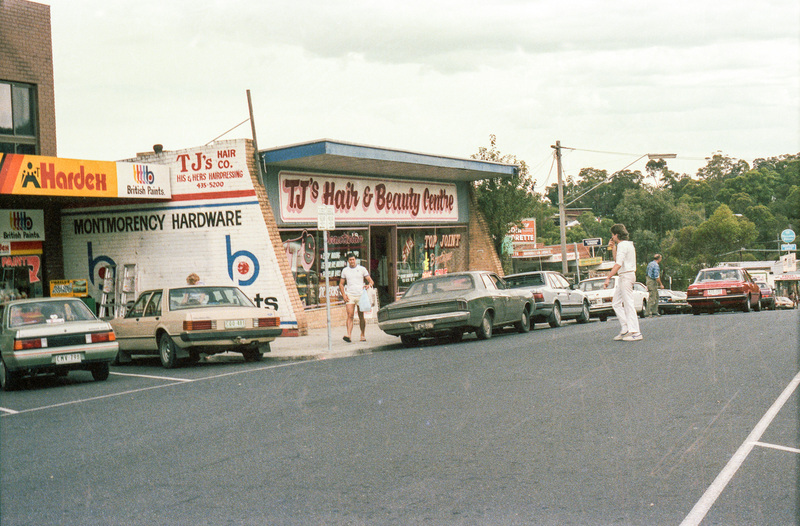 Or do you have more recent memories of Were Street and its growing number of shops from the 1960s on?